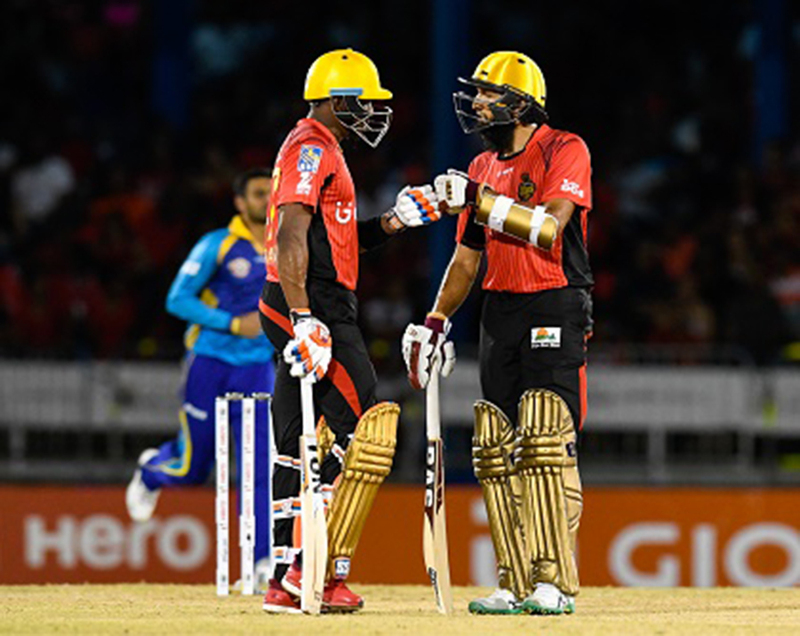 PORT OF SPAIN, Trinidad, CMC – A record fifth-wicket stand between captain Dwayne Bravo and Hashim Amla, coupled with a Barbados Tridents batting meltdown, lifted Trinbago Knight Riders to their first win of the Caribbean Premier League here Friday night. 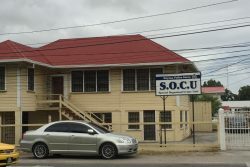 Sent in at Queen’s Park Oval, TKR were tottering on 20 for four in the fifth over before Bravo and Amla put on 150 – the highest ever stand for the fifth wicket in Twenty20s – as they rallied to 170 for four off their full 20 overs. Amla top-scored with 81 off 54 deliveries while Bravo gathered an unbeaten 66 off 46 deliveries. In reply, American Steven Taylor stroked a run-a-ball 37 in an opening stand of 41 off 35 balls with West Indies batsman Kyle Hope (11), as Tridents challenged early on. But once they were separated, the 2014 champions lost wickets steadily to decline to 159 for eight off their 20 overs. Trinidadian Nicholas Pooran smashed a whirlwind 12-ball 33 with two fours and three sixes and Pakistani Shoaib Malik, a steady 28, but neither innings were enough to prevent Tridents from an 11-run loss. Champion West Indies off-spinner Sunil Narine was instrumental with two for 21 from his four overs while medium pacer Kevon Cooper picked up two for 42. 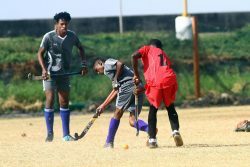 Seeking to atone for their loss to St Lucia Zouks in Wednesday’s curtain-raiser, TKR found themselves right up against it when hometown stars Ravi Rampaul and Akeal Hosein ripped through the top order. 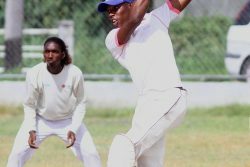 Left-arm spinner Hosein, who opened the bowling, claimed two for 18 off his four overs while fast bowler Rampaul grabbed two for 33. The 23-year-old Hosein struck in the second over with his fourth ball when he bowled Brendon McCullum for one, when the New Zealander missed a sweep. 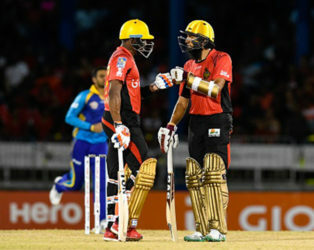 In his next over, he bowled Colin Munro for six as the right-hander played down the wrong line at 15 for two in the fourth over, and when Rampaul knocked over Darren Bravo (4) and Umar Akmal (0) to catches at the wicket in the space of three balls in the next over, TKR were falling apart. However, South African Amla stood tall, hammering five fours and four sixes, and Bravo supported well with three fours and four sixes, as TKR hit back superbly. Using bridled aggression, they raised the hundred in the 16th over and the went on an all-out assault thereafter, as 65 runs gushed from the last four overs of the innings. Amla, who brought up his 18th T20 half-century in the 16th over, then plundered 19 off the next one from countryman Wayne Parnell and Bravo joined in the party in the 18th, taking 17 runs off medium pacer David Wiese, another South African, as he too raised his half-century. Bravo ripped into fellow Trinidadian Rampaul’s final over that also went for 17 runs before Shoaib conceded 12 off the final over. Taylor then struck two fours and three sixes as Tridents started well and even when he and partner Hope fell within five overs of each other to leave the visitors on 67 for two, the run chase was still well placed. Shoaib and AB de Villiers (12) put on a further 27 for the third wicket but just when Tridents appeared set to execute in the last six overs, they lost six wickets for 41 runs to decline badly. The right-handed Shoaib holed out to long-off off left-arm spinner Sulieman Benn at the end of the 14th over and two balls later in the next over, captain Kieron Pollard smashed the first ball he faced down the throat of substitute Anton Devcich, also at long-off, off Cooper. De Villiers holed out to long on in the next over off Dwayne Bravo and off the very next ball, Wiese was run out without facing a ball, as Tridents collapsed. Fall of wickets: 1-7, 2-15, 3-20, 4-20, 5-170. Bowling: Parnell 4-0-35-0, Hosein 4-0-18-2, Rampaul 4-0-33-2 (w2), Nurse 3-0-26-0 (w1), Wiese 4-0-41-0 (w1), Shoaib Malik 1-0-12-0 (w2). Fall of wickets: 1-41, 2-67, 3-94, 4-95, 5-100, 6-102, 7-114, 8-135. Bowling: Miller 3-0-26-0, Cooper 4-0-42-2 (w2), Benn 3-0-16-1, Narine 4-0-21-2, DJ Bravo 3-0-24-1 (nb1), Beaton 3-0-23-0 (w3). Result: Knight Riders won by 11 runs. Points: Knight Riders 2, Tridents 0. Umpires: Z Bassarath, J Cloete; TV – P Gustard.